The FDA has stepped up its work to defend the impartiality of the civil service by taking its case directly to Parliament. The FDA’s General Secretary, Dave Penman, and its President, Gareth Hills, gave evidence in November to the Public Administration and Constitutional Affairs Committee (PACAC), which is part-way through an inquiry into the effectiveness of the civil service. 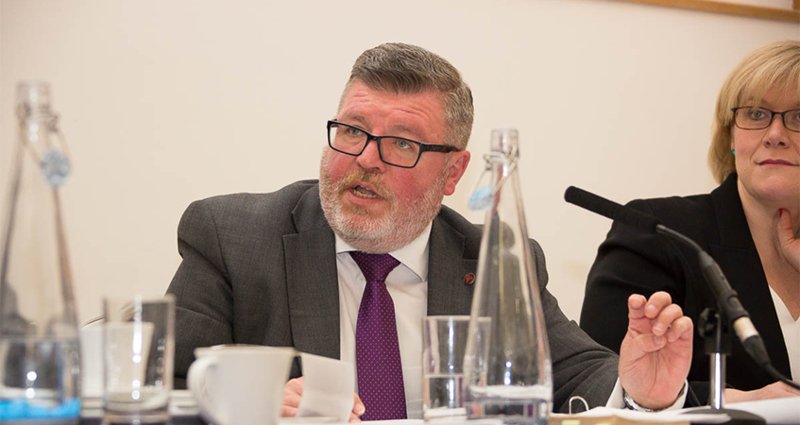 Penman told the committee that the civil service had “responded incredibly” following a decade of cuts to its resources and – despite real pressure in some departments – was “delivering efficiencies whilst maintaining public services”. But he warned of “a clear disconnect between what is expected from the civil service and the resources it is given”, a situation he said had only got worse as the UK prepares to leave the European Union. Both the General Secretary and President hit back at recent negative briefings against senior civil servants, with Penman saying that the Brexit vote posed a “real danger” for the civil service as politicians and commentators looked to “point the finger” at officials. He added: “It’s been one of the most polarising political issues that we have faced as a country and we are increasingly seeing finger-pointing – we’re seeing civil servants singled out by either politicians, those around politicians, or commentators that are looking to make accusations. Hills – who is a long-serving tax inspector at HM Revenue and Customs as well as President of the FDA – said it was vital for politicians and media commentators to remember that FDA members were not simply nameless officials, but real people working hard to deliver public services. “I’m somebody who, for 30 years, has gone into work every day to strive to deliver for the nation,” he said.